A brand-new year soon begins. We hope your 2013 was a good year. Holding a new diary in your hand ? and the worn-out one for 2013 as well – you can recollect many scenes from your journey of the past year. Now begins your journey of 2014. You already have the ticket in your own hand. Where are you going? It’s up to you, the traveler! Draw a new travel route in your TRAVELER’S. You have new friends to make your Journey 2014 with your TRAVELER’S even more enjoyable and happier. 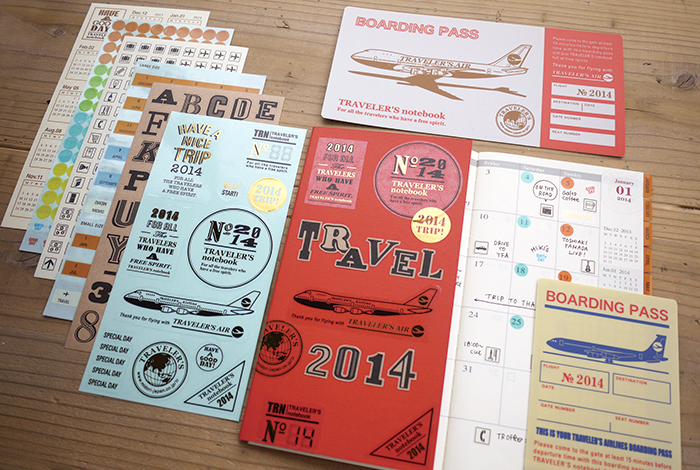 The new friends include an under-paper sheet, featuring a special design only for 2014, and a set of stickers to help you customize your TRAVELER’S. The under-paper sheet is very helpful when you write in your TRAVELER’S while you are standing. It also makes a handy bookmark. Also, you can measure lengths with its grid. Wherever you go, it’s very handy. 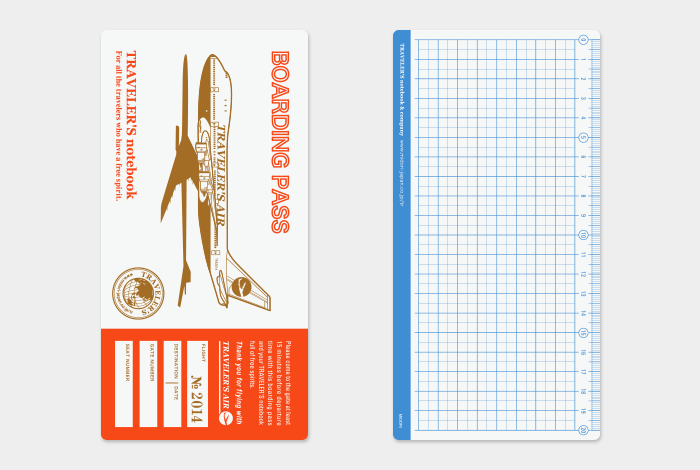 The customizing sticker set contains a calendar, index, scheduling and transparent circle stickers, as well as stickers to customize your TRAVELER’S jacket. These two new friends can make your Journey 2014 with TRAVELER’S even more fun! This sheet makes it way easier to write in your TRAVELER’S while you are standing. Also, it serves as a bookmark and a ruler. In short, it’s very handy. 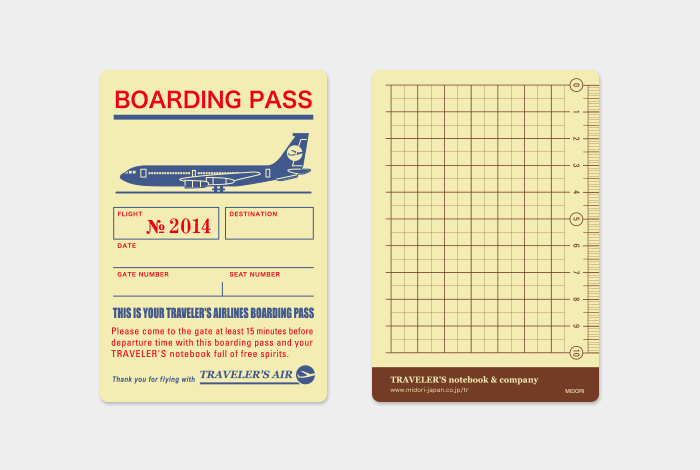 It has a graphic suggestive of traveling in 2014 on the front side, while the back has a printed grid. 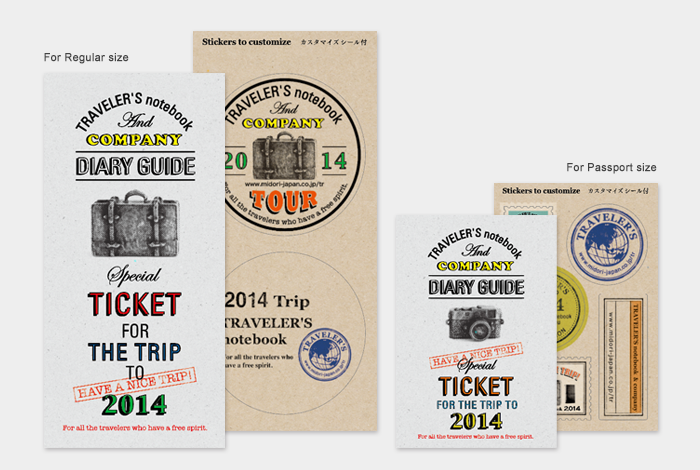 A set of stickers to help you customize your TRAVELER’S Diary. It contains a calendar, index, scheduling and transparent circle stickers, as well as stickers to customize your TRAVELER’S jacket. 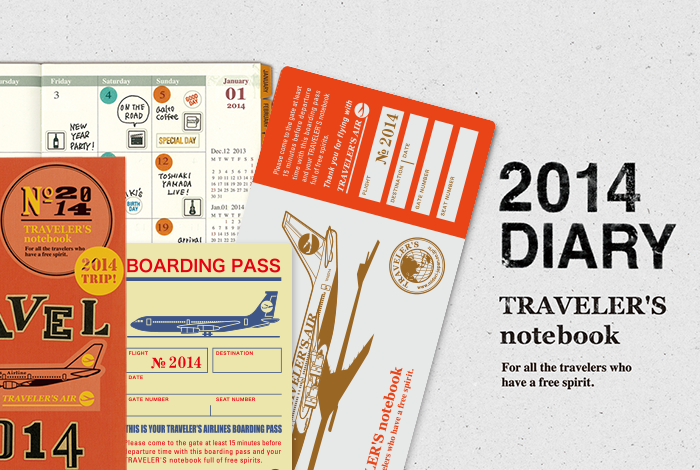 Bonus items for 2014 TRAVELER’S notebook Starter kits and 2014 Refills.